How to Hire the Right Residential Architect? Hiring an architect can be a smart idea for large-scale renovation projects, such as additions to your existing home. Architects have some knowledge in many areas, including design, project management, and engineering. Determining which services an architect can provide for your project, and if you’ve found the right one, involves multiple factors. Architects create your plans (blueprints) and specs, and can see them through from drafting to finishing touches on your new walls. In some areas (especially urban areas), an architect or engineer is required to at least review and approve/stamp plans. Architects can also use advanced software to help you visualize your dream, work with contractors and subcontractors as your representative and advocate to the team of professionals, and provide another “check and balance” point for your project. Many architects specialize in different areas. The idea is that an architect provides the pragmatism of a contractor or engineer, but is more aesthetically minded. It helps to have an architect if, for example, you are after a special design for your roof, you want to mix an old house with a very modern extension, or you want to open the kitchen to make the space continue into the dining room,. 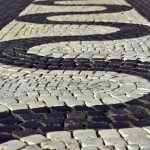 This person can visualize everything in three dimensions, and come up with a creative and unique solution that makes the space stand out. He/she can solve problems that involve spatial issues, and make the surfaces work in ways you might never have dreamed possible. The American Institute of Architects has a comprehensive list of various services that architects can provide. How much will it cost to hire an architect? Of course, the amount architects charge will vary from professional to professional, and from firm to firm. Most architects will either charge an hourly rate or operate on a fixed-fee payment plan based on a percentage of construction costs. BuildingAdvisor.com notes that typical fees range from 5 to 15 percent of construction costs for new construction, and from 15 to 20 percent for remodeling projects. 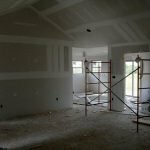 Remodeling rates are higher because of the unknowns that come with working on an existing structure. How can I find the right architect for my project? When it comes to locating an architect who may be a perfect fit for your project, there are a few good places to start. As with any industry professional, recommendations from sources you trust (friends, family, and neighbors) usually provide the best starting place. If you already have a contractor selected for your project, you can ask him/her for a recommendation. It’s important that your team functions cohesively, and industry professionals can recommend others whom they enjoy working with. You can also consult online review sites, or find out what individual or firm is behind a building that you admire. It’s important to think about the type of services you need. What issues are you trying to address with your project? Once you can pinpoint some of the things that are most important to you, you can look for architects who have addressed similar issues in the past. Determining the scope of services you require is also important. Do you need a more artistically minded architect, one who can generate a design for you, or do you have a good idea of the design you would like for your space, and you only need someone to draft the plans and serve as a project manager? Some architects have certain specialties. For example, if you’re looking to make your home green/sustainable, look for an architect who specializes in this area. Also, ask architects about their backgrounds. Do they have a lot of experience in residential projects, or do they work primarily in the commercial sector? Keep in mind that you don’t have to hire the first architect or firm that you talk to. Shop around to make sure you find the right fit and, of course, be sure to review portfolios. It’s important to ask and answer questions. Look for someone who listens to you, and seems to have a good understanding of your needs and ideas. Conversely, be prepared to answer questions about your project, such as the proposed timeframe, budget, and any other professionals you have working on it. Convey your desires and plans you have for your project, and listen to the architect’s expert advice. Together, you can create your perfect space. Also, make sure that you gel. Ask about an architect’s process and how he/she communicates. You’re going to be working with this person for some time, so make sure that his/her approach matches yours. Ask the architect to explain anything you don’t understand, so that you can be sure that you’re on the same page. If you’re working with a firm, make sure you know who your point person is. Check to see if an architect you’re interested in working with carries professional liability insurance. Not all of them do, and it’s important to know whether or not the professional you’ve selected does. 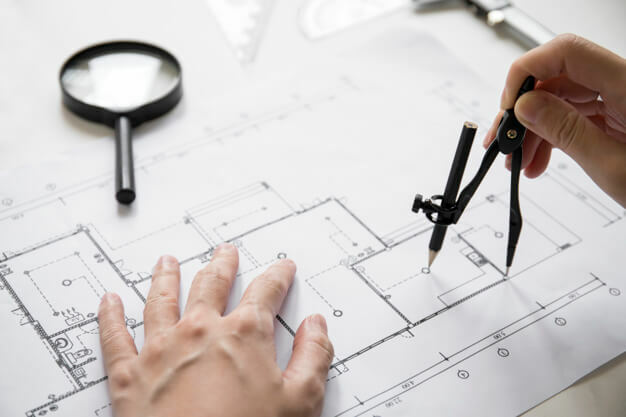 By selecting the right architect, you can enjoy project plans that translate your ideas into reality, and have an effectively managed renovation. By providing your ideas, and then hiring the right professional and listening to his/her expert advice and ideas, your ideal home can become a reality. I appreciate your tip on considering what types of services you need when hiring an architect. I would imagine that it would help narrow down your search if you decide exactly what you need out of an architect before you hire them. My wife and I want to find an architect to help us design our home. When we do we’ll have to be sure to find one that specialises in home design. That’s a great point you make about how, by choosing the right architect, you can enjoy project plans that translate ideas into reality. I’ve heard that many architects will offer guarantees on how long the project will take and will offer discounted rates if they go over their estimate. I’ll have to keep this great information in mind so that I can choose the best possible architect for my next project. It’s true that an architect or draftsman can help us visualize our dreams, as you said. I think it’s important that we find drafting services that understand what we hope to have built for our next home. It helps, too, if you feel comfortable communicating your design thoughts with them so that they can draft it out and work with you on the design that way. My fiance and I want to hire a residential designs specialist and don’t know where to start. I like your advice to look for someone who specializes in what you want. This way you know you are getting the right design and help.